We are manufacturer and exporter of Decorative tassels for Home Furnishing and Garment Industries such as Magnetic Tassels, Rayon Tassels, Tassels Tiebacks, Tieback Tassels, Beaded Tiebacks, etc. 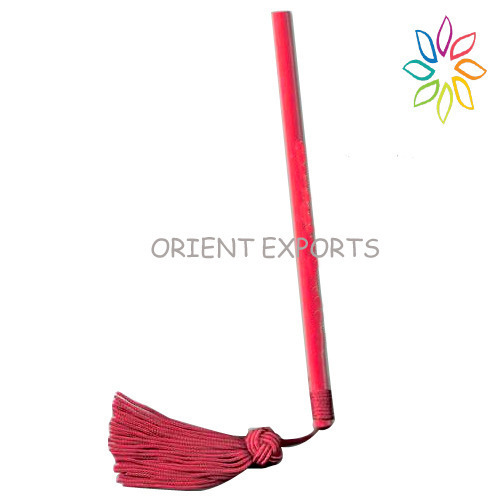 We are a leading name in the market as a manufacturer and exporter of a wide range of Decorative Items for Home Furnishing and Garments Industry such as Home Furnishing Tassels, Fabric Tiebacks, Beaded Tassel Fringes, Fabric Laces, Beaded Tassels, Beaded Trim, Bookmark Tassel, Cords, Cotton Tassels, Curtain Tassels, Curtain Tiebacks and lots more. Reckoned for their exclusive designs and intricate patterns, our tassels and tiebacks are adeptly designed by our craftsmen while keeping in mind the tastes of our clients and the prevailing trends.